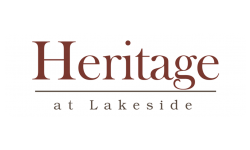 Nestled in beautiful Plano, Texas, you'll discover a unique apartment community at Heritage at Lakeside. Offering one, two, three and four -bedroom apartment homes with townhome style floor plans, you will be able to enjoy an open and spacious design. Cozy up to your wood-burning fireplace, enjoy your designer color scheme or just relax on your private patio or balcony. 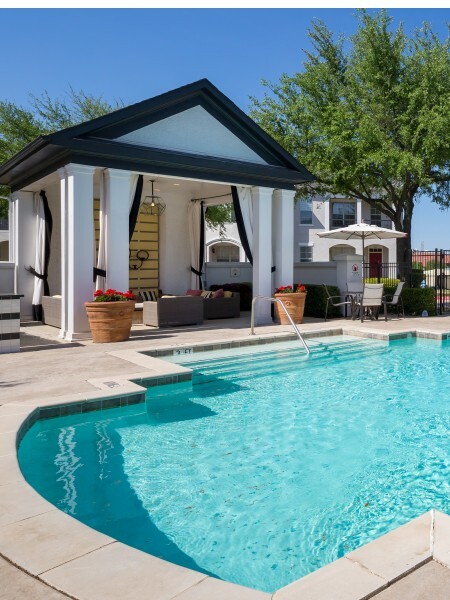 At Heritage at Lakeside apartments, you'll find easy access to the Dallas North Tollway, 121, and George Bush Turnpike, making any commute in the Dallas/Fort Worth Metroplex a breeze. There’s plenty of shopping choices near our Plano Apartments with The Shops at Legacy less than a mile away. We are also conveniently located between Willowbend Mall and Stonebriar Mall. For all the health nuts, we are within walking distance of the Lakeside walking and jogging trails. Community amenities include a swimming pool, 24-hour fitness center, elegant clubhouse, complimentary wine room, and large game room and billiards table. Our apartments feature gourmet kitchens with granite countertops, stainless steel appliances, breakfast nooks, garden tubs, and walk-in closets. Offering one, two, three and four-bedroom apartment homes with townhome style floor plans, you will be able to enjoy an open and spacious design. We have 20 floorplans to choose from ranging in size from 945 square feet to 2330 square feet. Every floorplans comes with an attached garage at no extra charge. So whether you are looking for apartments in Plano, or nearby in Hebron or the Colony, Heritage at Lakeside, may be the right fit for you. Call us today to learn more.